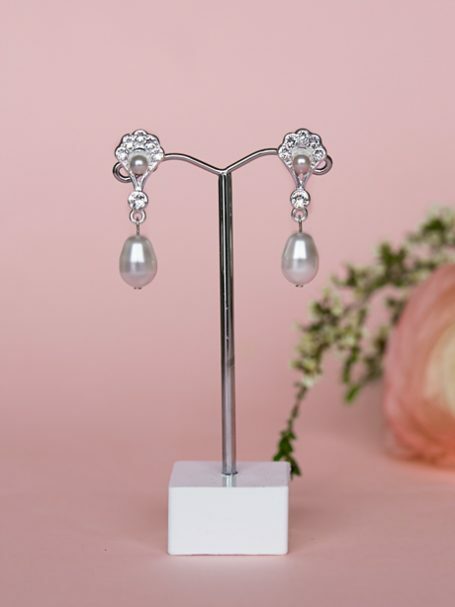 Simple and chic pearl drop bridal earrings that take class and style to a new level. With swarovski crystals and pearls along with Australian craftsmanship. 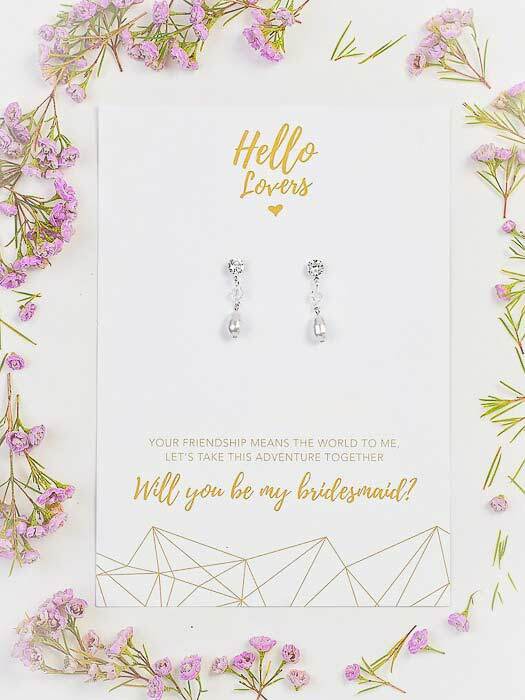 You will be a fan also, with Hello Lovers Australia’s pearl drop bridal earrings. Wear with confidence these earrings will effortlessly bring the vintage vibe. You will love the lightness of these earrings and the unique embossed fan like pattern. The crystals and pearls are made from Swarovski elements. Wedding jewellery made with love. Match with the “I’m a fan” wedding necklace in silver, Paris hair comb with pearls and a blusher wedding veil. The length is 30mm long by 10mm across. All our sparkling wedding earrings come packed in our adorable pink silk wedding boxes.